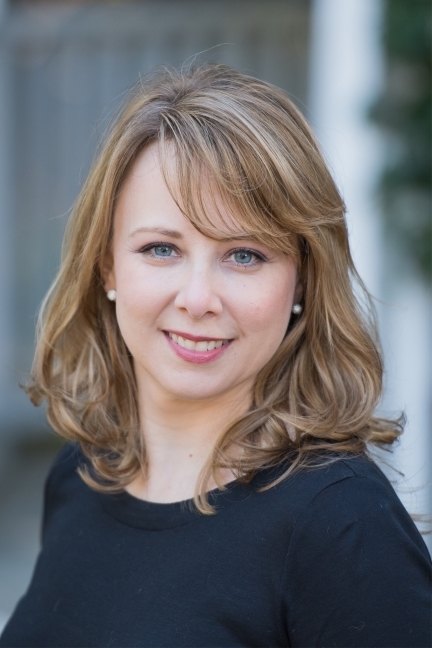 Cate Lineberry’s first book, The Secret Rescue: An Untold Story of American Nurses and Medics Behind Nazi Lines, reached #1 on the Wall Street Journal ebook bestseller list and was a finalist for both the Edgar and the Anthony literary awards. Her second book, Be Free or Die, set during the American Civil War, has been called, “An immersive, well-crafted history” that is “a little like recovering a national heirloom that was lost, stolen or buried through decades.” A former staff writer and editor for National Geographic Magazine and the web editor for Smithsonian Magazine, her work has also appeared in the New York Times. Stay Thirsty Magazine was pleased to visit with Cate Lineberry for these Five Questions about her new book at her home in Raleigh, NC. 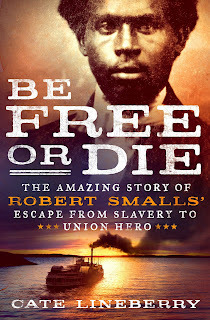 STAY THIRSTY: Your new book, Be Free or Die, tells a very important, little known, story about a great American, Robert Smalls. What motivated you to tell his story? CATE LINEBERRY: I’ve always been fascinated by the Civil War and the huge impact it had—and continues to have—on our country. In fact, I have ancestors who fought on both sides at the Battle of Gettysburg in 1863. When my brother sent me an article about Robert Smalls several years ago, I found myself deeply intrigued. I couldn’t understand how I had never heard of Smalls and his incredible heroism and perseverance during such a monumental time in our nation’s history. I wanted to know how an illiterate enslaved man had accomplished so much in such a short period of time and against all odds. I also wanted to understand why he was not more widely known and celebrated—and hoped to change that through this book. STAY THIRSTY: Why do you think that Robert Smalls’ story had been all but forgotten? Does race have anything to do with it? CATE LINEBERRY: There’s no question that Robert Smalls’ story is not more widely known because of his race. Even during the war when many in the Union celebrated him, there were plenty of whites on both sides who refused to embrace an African American hero. Later, when Smalls served in Congress, efforts were repeatedly made to discredit him. In 1877, his political enemies had Smalls arrested and charged with accepting a $5,000 bribe during his time as a state senator. Though Smalls wanted his case heard by the Supreme Court to clear his name, South Carolina’s governor pardoned him in exchange for the federal government’s dropping election fraud charges against a group of white South Carolinians. Despite his numerous achievements and remarkable courage during and after the Civil War, Smalls’ reputation never fully recovered from the scandal. STAY THIRSTY: Was it difficult for you as a Caucasian woman to understand and authentically recount the African American experience of the 19th century? CATE LINEBERRY: Authentically telling a story is always my goal as a journalist, and I definitely wanted to make sure that I was capturing the African American experience of the 19th century as accurately as possible. To do this, I interviewed numerous historians, including Civil War and African American Studies experts. I consulted Smalls’ descendants, including Dr. Helen Boulware Moore, who created a traveling exhibit to help preserve and promote Smalls’ story. I read the best books on the many subjects covered in the story, combed through numerous archives and studied primary documents. I also had a variety of readers review the final manuscript. No matter what story I’m trying to tell, it’s incredibly important to me to get it right. 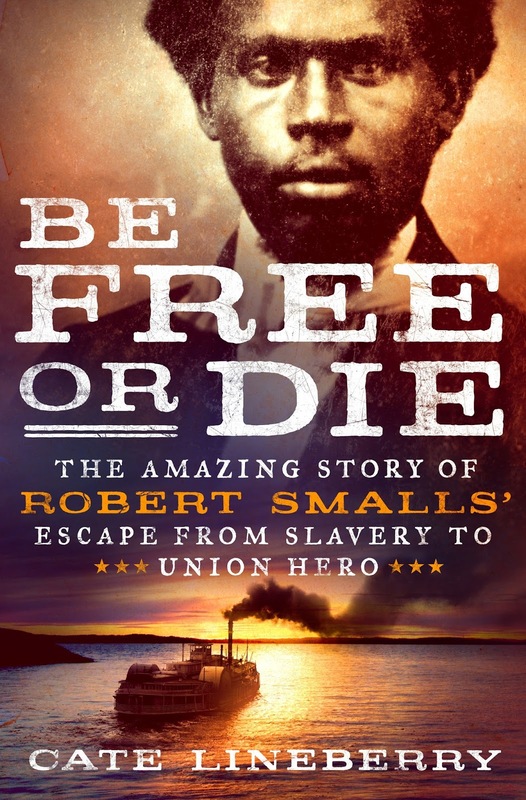 STAY THIRSTY: You quote Robert Smalls in the epigraph: “Although born a slave I always felt that I was a man and ought to be free, and I would be free or die.” What do Smalls’ words mean to you personally? How relevant are they in today’s life and times? CATE LINEBERRY: I can only imagine how horrific it was for Robert Smalls and millions of other enslaved men, women and children to be considered another man’s property and to have the most basic aspects of their lives under someone else’s control. At any moment their families could be subjected to brutal punishments and, if an owner decided to sell them, they could be taken from them forever. Smalls and his wife were so desperate for their freedom in May 1862 when they seized the steamer that they were willing to jump overboard and drown themselves and their children if it looked like they would be captured. They preferred death to slavery. More than 150 years later, people are still struggling for freedom and equality in this country and around the world. Smalls’ poignant words, which are as meaningful and moving in 2017 as they were when he first spoke them, remind me of how far we have come—and how far we still have to go. STAY THIRSTY: What three lessons can be drawn from the way Robert Smalls lived his life and how has spending time with his spirit changed you? CATE LINEBERRY: We can learn many lessons from the way Robert Smalls lived his life. Perhaps most importantly, Smalls refused to let anyone else determine his value as a human being. Despite being told throughout his life by society that he was not equal to whites, Smalls believed in himself and his right to determine his own future. Smalls also had an unrelenting determination to not just be free but to succeed. He fully embraced every opportunity that came his way and pushed himself to be the best he could be. Just three months after escaping from slavery, he met with President Lincoln and members of his cabinet, spoke to large crowds in the North on behalf of recently freed slaves, and delivered the first orders authorizing the formation of a black regiment. Thirdly, Smalls tried not only to better himself and his family, but he worked throughout his life to help others. He supported education and equal rights throughout his political career and often acted as a mediator between blacks and whites in South Carolina’s Sea Islands. He even provided financial assistance to the family who had once enslaved him and his mother. Studying this remarkable American hero and his many achievements has given me a profound respect for Smalls and has made me believe even more in the power of a single individual to change the world for the better.